Here’s a little conversation that took place at a Meetup Event with that familiar smell of espresso brewing and a low hum of indistiguishable voices murmering. During one of these meetings a young woman started chatting with me. “Great to meet you at this Networking event… So, what do you do?” She inquired in a friendly tone of voice. “Well, I design and build websites for small businesses.” I replied. As the glazed look on her face disipated, she muttered, “Great… Um, Nice meeting you.” And with that I watched her walk off. Has this scenario every happened to you? Someone used too much jargon with you and you just got lost in the conversation? Today, we’re going to talk about your Products and Services. But the challenge when putting those on your website is that you know all the ins and outs of your products and services. You actually know them too well. And you have to avoid using jargon your prospects might not know or understand. We’re going to improve your Products and Services Pages and if all goes well, improve your conversions by at least 28%, but first a little recap. Now back to your Products. We established earlier that your prospects and customers don’t care about you and what you know. They only care about themselves, their needs, and tangentially they care if you can meet their needs. So once again we will have to put ourselves in our prospect’s shoes as we develop our Products and Services pages. In all likelihood, you have many products and services so you won’t have one page with every detail about your products and services. You’ll probably have a Main Services Page with summaries of your Services and links to individual Services where you can give more information. Let’s focus on an individual Product or Service Page. First, What’s In the Name? What’s the first thing you see when you come to a Product Page? The Title. Let’s consider that for a second. Give your Products and Services a good name. 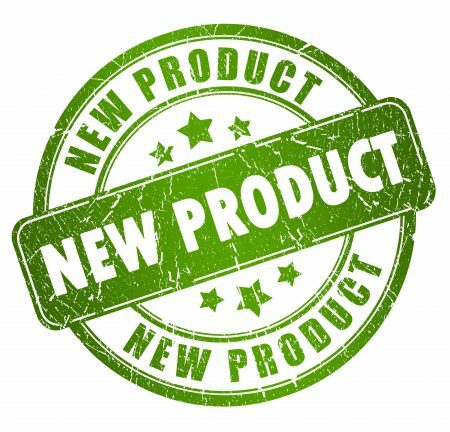 Hint at some of the benefits of your specific product. Make your product stand out! It’s like my pastor used to say, “A good name is worth more than gold.” After all, we’re putting this website together to generate sales. Do you have a list of bullet points? What’s the next thing you see? A list of bullet points talking about the features of your service. Throughout this series, we’ve been encouragaing you to write out paragraphs of text with the first sentance in BOLD so that it stands out. Those bold sentances can be your bullet points. But take a few sentances to explain each benefit. Chances are, your Product Pages are filled with features. But let me burst your bubble. No one cares about features. No one buys features (except maybe engineers like my father). I don’t immediately know what that revolutionary surface does for me, unless you tell me. Does this mean you have to throw away all your features and only think about Benefits? No. Here’s a suggestion. Lead with the benefits and follow those benefits with the features and the logic behind the benefits. People make decisions with their emotions and then justify their decisions with facts. It doesn’t work the other way around. So you want to have both the benefits and the features. But lead with the benefits. Would you buy my imaginary Cheese Grater? This is not your grandmother’s cheese grater. You’re going to love grating like the pros. 7 out of 10 of Dallas’ Top Restaurants use Chef John’s Effortless Cheese Grater. In fact, it’s the preferred grater that these chefs use at home as well. Even the hardest cheeses like Parmisiano Regiano grate effortlessly. This power comes from the ergonomic design of handle which increases your leverage by 15%. The grating surface is also made of a revolutionary 80/20 blended stainless steel which allows food to glide smoothly and reduces friction by 35%. It’s also the safest cheese grater invented. While these features might seem like a danger to your knuckles, Chef John also offers an optional Grater Guard Patent Pending which holds your food securely and keeps your hands protected from the ultra sharp grating teeth. If you read through my Cheese Grater Product Page, are you reaching for your credit card? 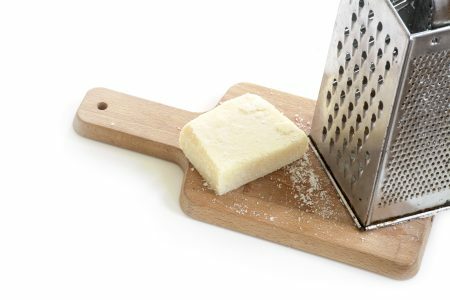 Let me apologize to you, this cheese grater doesn’t exist. But you can bet if it did, I would have just sold one to my dad. He loves these kitchen gadgets. How many of the Five Tips did you catch in the article? Go through each of your Products and Services. Does each feature and bullet point include a benefit? If not, delete it or come up with a benefit. Put yourself in your customer’s shoes as you rework your Services. Lead with your benefits and follow up with the features that add credibility to your claims. How much of a difference has this made? If you’re tracking your sales and conversions, I’d love to know how much these changes have helped you make more sales. Please let me a note in the comments below.